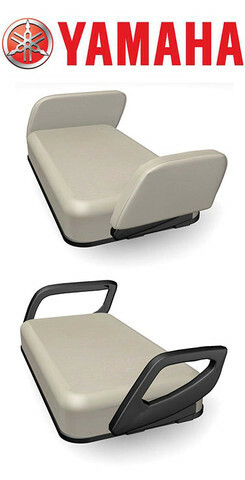 Add to your comfort and improve the vinyl look of your cart with padded hip restraint covers. 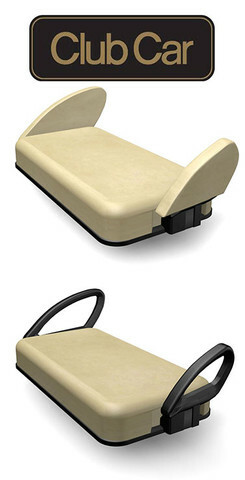 The padded covers for the golf cart hip restraints add comfort and finish the vinyl seat look of your cart. To the right is a picture of the hip covers on a Club Car Precedent. --Protect yourself from injury with padded side hip restraint covers. --Comes as a set of 2. 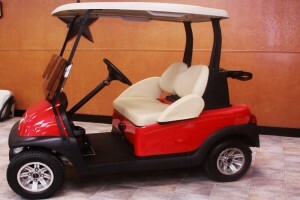 --Fits most make and models of Club Car, E-Z-GO and Yamaha golf carts. See below for pictures of before and after golf carts. --Made of marine grade vinyl which is mildew, stain, and UV resistant. 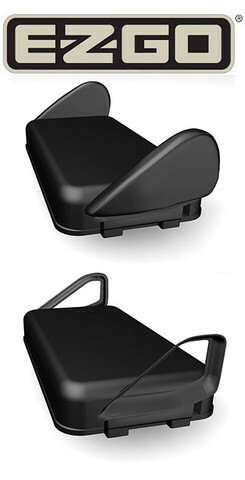 --Secure fastening system which is hidden under the seat. Below are pictures of a Club Car, E-Z-GO and Yamaha seat as factory and with the added padded hip restraint covers.